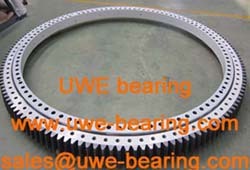 Slewing ring bearings are large-sized bearings with compositive larege loads carrying capability, which can accommodate asxial load, radial load and tilting torque simultaneously. 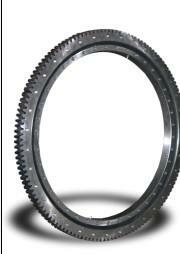 These bearings normally have mounting holes, internal gears or external gears, lubricating holes and sealing installations. They are featured by compact configuration, light weight, good rigidity, smoothly running, high precision and reliable safety. Applications of the bearings are found in the industries such as engineering/project, metallurgy, mining, oil, chemistry, light industry, aviation, harbor/quay, vessels, military industry, instruments and meters etc. 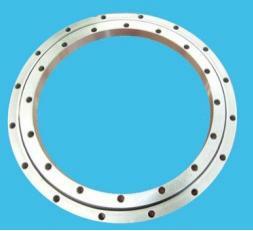 How can you buy VLU 20 0414N Slewing Bearing on the Internet? 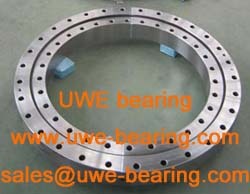 High quality VLU 20 0414N Slewing Bearing, Just click the button " Contact Now " to mention your purchase Requirement , Quantity and Contact Method of your requested Bearing Item No. VLU 20 0414N. then click the button " Send " The web site will make your purchasing information sent to the supplier's mailbox, who will come to contact you upon they get your information at the first time.